Wondermark » Archive » TONIGHT: Improv with Battlesocks! 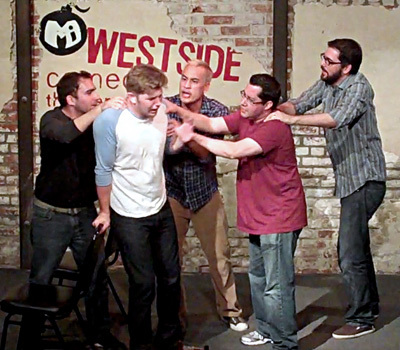 Tonight (Monday the 19th) I’ll be performing with my improv team “Battlesocks” at M.i.’s Westside Comedy Theater in Santa Monica! It’s a FREE show that starts at 8pm. If you can’t make it tonight, I’ll be performing again December 3rd and December 17th. Come see the show! This entry was posted on Monday, November 19th, 2012 at 6:32 pm and is filed under Blog. You can follow any responses to this entry through the RSS 2.0 feed. Both comments and pings are currently closed.